What is it like to Be a PP? the Foreign Languages Faculty of Tomsk State University. She teaches English, lectures on methods of teaching foreign languages, and is currently involved in research on ESP teaching, teacher training and curriculum development. 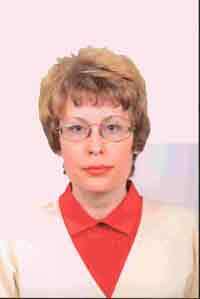 Elena Osipova is a senior teacher at the University of Control System and Radioelectronics, Tomsk. She is also a part-time teacher at the International school of languages BENEDICT. Early one August morning we left our homes and made our way to the bus stop. No, we were not going to work, as it was the time when every teacher is on vacation and doesnt think about work. Exactly at that wonderful time when Russian female teachers are supposed to be taking a rest from the academic year and, perhaps, making preserves for the long winter, a group of teachers from different Siberian cities gathered at Tomsk Polytechnic University. The question is: Why did they leave their families and come together in this way? The answer is that in August the British Council had organized a workshop on the problems of teaching ESP. The coordinators and organizers of this British Council-supported project selected 25 participants from Krasnoyarsk, Novosibirsk, and Tomsk. They were faculty members of state universities. A team of facilitators from Tomsk Polytechnic University (Petrashova Tamara, Cheremisina Inna), Omsk (Rudenko Tatiana), Krasnoyarsk (Almabekova Olga, Tkacheva Nina) and Perm (Krasavtseva Nadezhda) attended all sessions, directed the discussions and conducted the activities which had been developed by the RESPONSE materials writers team during the previous seminars in Samara and Moscow. The problem raised by the EFL\ESP community is a crucial one in modern Russian higher education. English language teaching does have a long tradition in Russia, and knowledge of English has always been a major requisite for a solid education, testifying to ones social accomplishment and professional credibility. 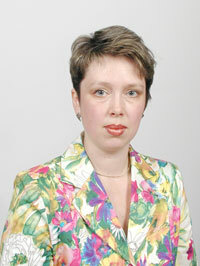 Traditionally, though, teaching English to future professionals in Russia was mostly oriented toward accuracy of expression and often focused on a certain kind of English, generally associated with the specific faculty or department specialization and very much aimed at developing the four basic skills (reading, speaking, listening, and writing). On the other side of соin, the weakest points have been listening comprehension of authentic discourse and speaking meaningfully. Though ESP teachers are now making use of a wider variety of teaching methods, techniques and materials, their approach to the language is not focused on the development of communication skills, with materials being mostly written texts. As a result, Russian university students of non-linguistic majors are typically better at reading, knowledge of grammar and vocabulary in the area of their specialization, but have difficulty understanding speech and applying their language knowledge to communicate in a meaningful way about their personal and professional issues. The main reasons behind this have been identified by thorough research undertaken by the Baseline Study team of ESP teachers and teacher trainers representing various universities of Russia. The study was initiated by the British Council in partnership with the Ministry of Education of the Russian Federation in 2001. Taking part in the Study were more than 5, 500 respondents from over 100 institutions of higher learning. The results are presented in the Baseline Study Report published in St. Petersburg in 2002. We would like to briefly mention here some of the principal findings, which appear to be the most important ones. The first major issue is that most ESP university courses in Russia cannot meet the growing demand for professional communication skills in English because they are generally of poor design that does not take into account the real life needs of future university graduates. Second comes lack of communicative methodology, followed by poor subject-specific teaching resources in the field of ESP. One more issue is that a scarcity of systematic research in the area of language teaching and inadequate quantity an quality of professional development courses for ESP teachers result in teachers being unable or not motivated to work on updating the syllabuses, materials or methods of instruction. A picture emerges of a need for the revival and updating of the system of regular in-service training for ESP teachers, which could improve students chances of reaching a higher level of English proficiency. In recent years the situation in Russian society has changed drastically. English has, beyond any doubt, become the foreign language that young professionals want to know and be able to use. This new and ever growing demand for specialist English teaching has exposed certain problems, such as finding the ways of effectively integrating everyday realia into meaningful activities, giving students more of the valuable talking time. Apart from this, in our everyday lives we often do not have time to analyze our own practice or to share our ideas with colleagues. That is why, participating in the August workshop whose major aim was to inspire more confidence in applying more communicative techniques and to promote ideas about relevant materials development - the two most burning issues, offered a welcome and timely opportunity to exchange our local experiences and develop networking among ESP professionals. The course lasted for a week and comprised 40 hours of activities developed by the RESPONSE team, reflection, discussion, sharing ideas. Some participants had already taken part in similar training courses on Business English organized by the British Council in Russia, but for some of us it was a new experience, and we would like to share our impressions. First of all, we should mention that the workshop was not an ordinary one. By that we mean that its format was not familiar to us as an audience that is used to being given lectures on topics dealing with professional development. It was based on whole-group activity and on discussions of various ESP issues in smaller work-groups (a mechanism for reporting back the findings), and everybody was required to take an active part in it. When we first came together at a group session we began as individuals from different institutions, some familiar with colleagues from other institutions, some appearing to be absolute strangers to all. So, the first task for the facilitators was to create a friendly atmosphere and to show the PPs (participants) that their opinion was trusted and taken as a very important result. We cannot but agree that something very similar happens in an ESP class. If you manage to establish good personal contact with the students at the lesson, it is half the battle won. In an hour or so, we did not notice when exactly, we got acquainted with each other with the help of the Fruits of Success Tree activity and got encouraged to discuss the burning issues of ESP teaching. In our opinion, it was a very productive idea of the organizers to allow participation of both individuals and teams from a university or a city, which facilitated not only the beginning but also the whole course. So, from the very first step we understood clearly that the seminar we were taking part in would not be boring but rather challenging and everybody was ready to be involved in the process. Our working day started reasonably early, at 9 a.m., and finished at 5 or 6 p.m., but that was not the end, as our organizers arranged not only tea breaks and lunches during working hours, but also dinners for all the PPs, including local teachers. For about a week people could see on the university campus a group of women of different ages with a similar gleam in their eyes discussing workshop sessions on their way to the cafe and back. And we think that the tea breaks, lunches and dinners together also had some objectives. We did not waste time as we had a chance to share our thoughts and experiences informally. It was especially good for young and new to the profession teachers who might sometimes be scared or reluctant to speak out or ask questions. No doubt, this inspired the establishing of valuable networking contacts. Each day was full of various activities. The so-called warmers served many different goals: they helped to grasp the main idea of the following activity, to tune into teaching after a long break, and to foster our team spirit. On the one hand, the technique of organizing discussions in small groups as the first step when working on a problem encouraged each member of the group to take an active part in generating ideas and, on the other hand, this format helped to promote enjoyable atmosphere and fruitful cooperation. Presentations of the groups findings helped each group member to wear different hats, that is of a generator of ideas, secretary, presenter, listener, etc. We were encouraged to wear different hats as well, when we took turns performing as trainers and trainees. This switching of roles, done whole-heartedly, proved to be very stimulating. The team leaders and the PPs created a very friendly atmosphere, a prerequisite for fruitful co-operation. The organizers certainly knew what they were doing when they grouped us differently for almost every new activity. They put us in groups of 4 or 5, and each day new principles of grouping were used - based on our preferences, according to our dates of birth, etc. That helped us to get to know each other better both professionally and personally within a short period of time. So, when it came to micro-training at the end of that very hectic week, each of us felt comfortable, joining any group of colleagues. Our facilitators, those who conducted general sessions, were always very friendly, thoughtful about the clearness of their instructions and various opportunities to run the activity as effectively as possible, motivating the PPs to think, express opinions and share ideas. Ludmila Borisovna Kuznetsova, the co-ordinator of the project from the Russian side, and Mike Scholey, the British consultant from the College of St. Mark and St. John, Plymouth, UK, complemented each other, monitoring the facilitators work, inspiring the participants and bringing the seminar to its peak moment - the micro-training. Not only did they prove to be professionally top-notch, but also personally charming, which helped us, the PPs, to feel rewarded for what we were doing because we always felt their encouragement and support. The micro-training was certainly the climax of the whole course. The fishbowl technique that was used in micro-training was very efficient but challenging. When a group of 4 presented a 20-30 minutes activity, the other 8 were their trainees, while the rest of the group, including the facilitators team, were watching and evaluating the activity. We must say that we liked all the presentations, because each group demonstrated creativity, good time management and teamwork skills, as well as the skills of good performers. By the end of the training course we noticed that we all had changed - we started developing common views on the teaching/learning process, speaking the common language (i.e. mastered the terminology important for mutual understanding), mastering the reflection method with regard to the activities pactised. That doesnt mean that we changed dramatically and stopped being individuals. What we want to say is that we started seeing teaching and learning from a common basis of creating an entire structure for the processes of teaching and learning from the setting of objectives to reflecting on the effectiveness of the activity carried out. Our choice of materials and techniques became more informed and relevant to the aims of teaching ESP. We felt that in spite of all the problems that we routinely face, namely, lack of adequate materials, poor working conditions, etc., we can prepare and run our classes better, in case we have opportunities to communicate professionally during workshops and seminars and continue to be thinking, creative and searching for something new and interesting. One of the many things that we learned during the workshop was that in order to become effective and efficient in teaching and to properly organize the learning process we must not enter the classroom without having in mind clear objectives for the lesson or without being confident that the chosen material and activities are appropriate to our students needs and level of language proficiency. Yet another result of the workshop is that it generated a whole network of collaboration between participants and suggested many fresh ideas for staff development events in our own institutions. Finally, we want to thank all the organizers, coordinators, trainers and participants for providing us with the opportunity, conditions and facilities to learn from each other at this professional development event, and for an excellent cultural program. It was a real pleasure to be part of the team. We look forward to the day when we can see each other and work together, as one team, again.